The factory boost gauge in the MKII Turbo is pretty useless. I had previously installed a VDO boost gauge in a pillar pod, but I really wanted to replace the stock gauge with an aftermarket gauge in the factory location. 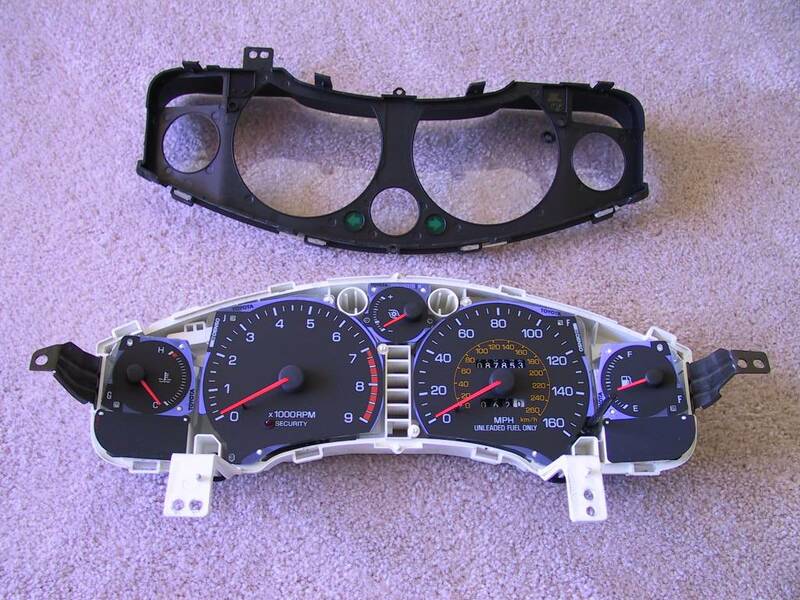 I purchased a Blitz 43mm gauge, but never got around to tearing up the instrument cluster to put it in. When I was parting out my wrecked 93 Turbo (White), I decided do the work on that cluster, then simply swap it into my "new" 93 (Red). I recommend buying a replacement gauge cluster lens, as they are not very expensive, and it's likely yours is scratched from constant cleaning. I got mine from Conicelli, and it was only $16. The following guide includes plenty of photos, so it will load slowly on a dial-up connection. All of the photos can be clicked for a larger (1024 x 768) image. Remember that this is only a guide -- not gospel. What you do to YOUR vehicle is YOUR responsibility. I do not endorse, approve, authorize, or otherwise encourage you to make alterations to your vehicle. 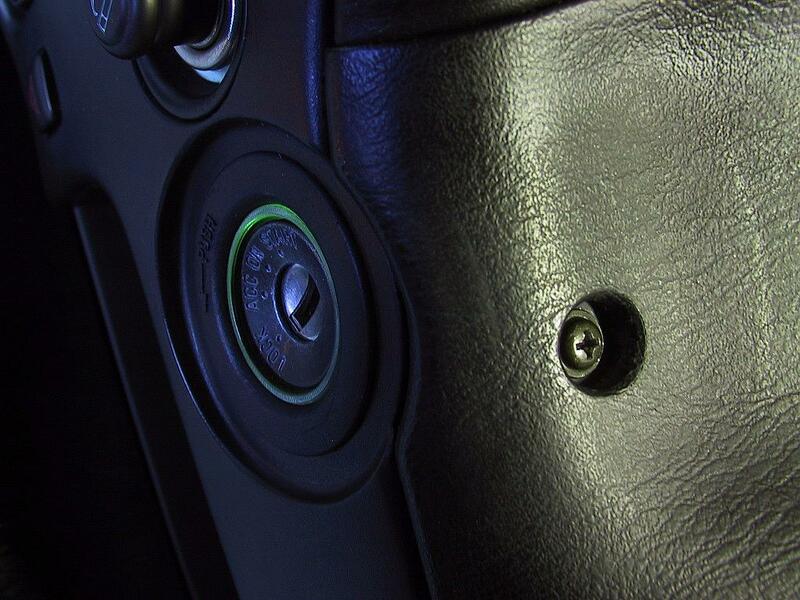 Be careful, and recognize the dangers associated with modifications to your vehicle's critical systems, like electrical, engine, brakes, etc. Note: As of Feb 2003, gauges in this size are scarce. Omori seems to be the only manufacturer still making a small boost gauge, but they seem to always be unavailable. I then used a flat-blade screwdriver (with some electrical tape wrapped around the tip to avoid scratching the materials) to gently pry out the fascia. Just apply a little pressure as you work your way around the trim. 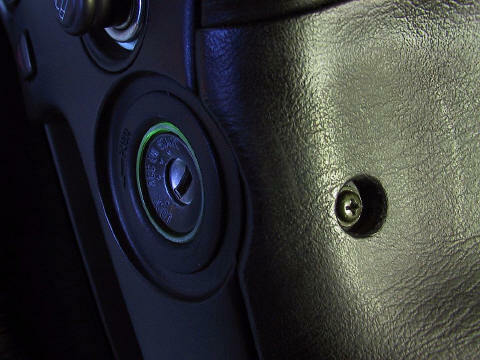 Once it is free, you'll need to disconnect the electrical connector to the instrument light dimmer switch. There are four screws securing the cluster. Remove the top left and right screws. Then you can gently pry out the small trim piece that is positioned under the cowl of the dash, just above the gauge cluster. There are two clips, positioned approximately 5" from each screw hole. 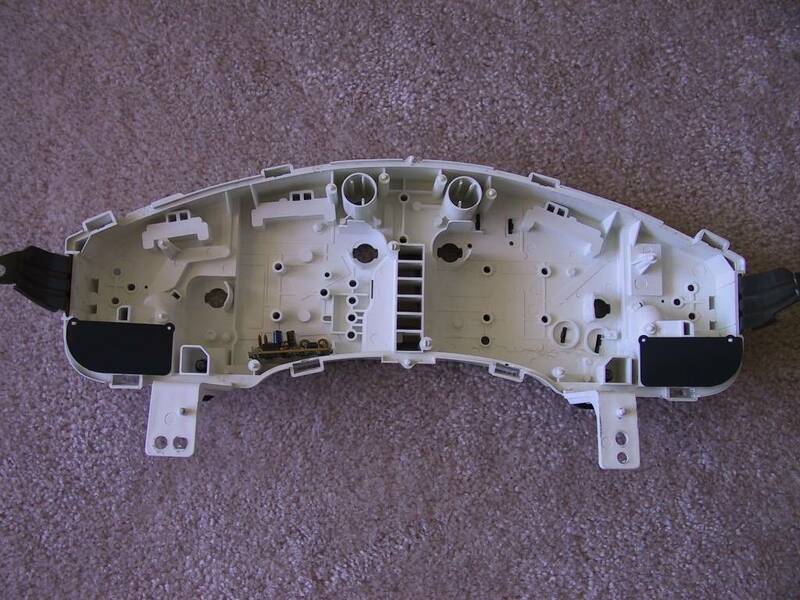 With the cowl trim removed, remove the two lower screws securing the cluster. 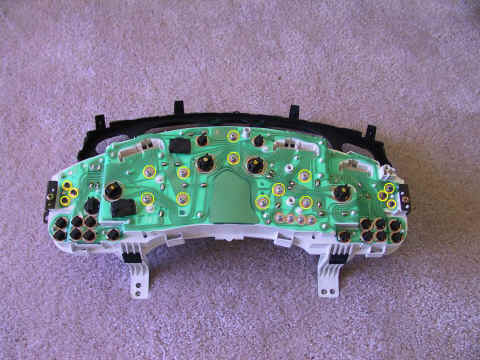 You'll have just a little play to reach behind to remove the electrical connectors. There are three of them. Handle with care, as the back of the cluster assembly is simply a fragile piece of mylar with the circuit etched onto it. Ease the cluster assembly out, then find a clean, brightly lit place to work on it. 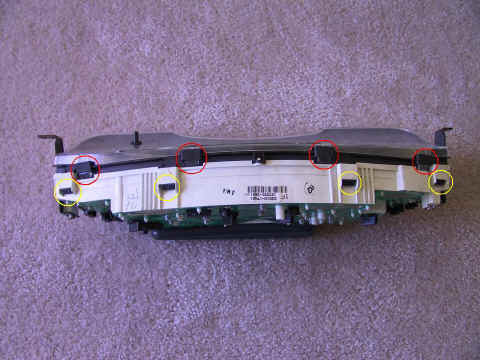 In the photo below, the red circles show the lens retaining clips, and the yellow circles show the clips retaining the gauge surround. There are eight clips for each piece -- four on the top and four on the bottom. While you are only going to be replacing the boost gauge, you'll need to remove all of the gauges to protect them from harm. It's quite simple. Turn the cluster over. 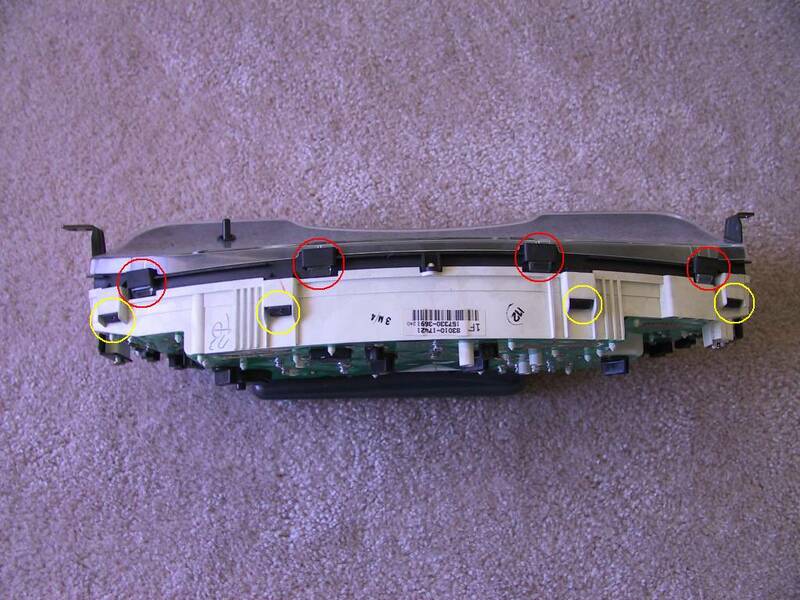 The yellow circles in the photo below shows the screws to remove. I also removed the lamps in the cluster.